Selena Marie Gomez is an American singer and actress born in Grand Prairie, Texas. The Revival Tour is the second solo concert tour by Selena Gomez, in support of her second solo studio album Revival (2015). The tour is set to begin in Las Vegas, Nevada at Mandalay Bay Events Center on May 6, 2016. 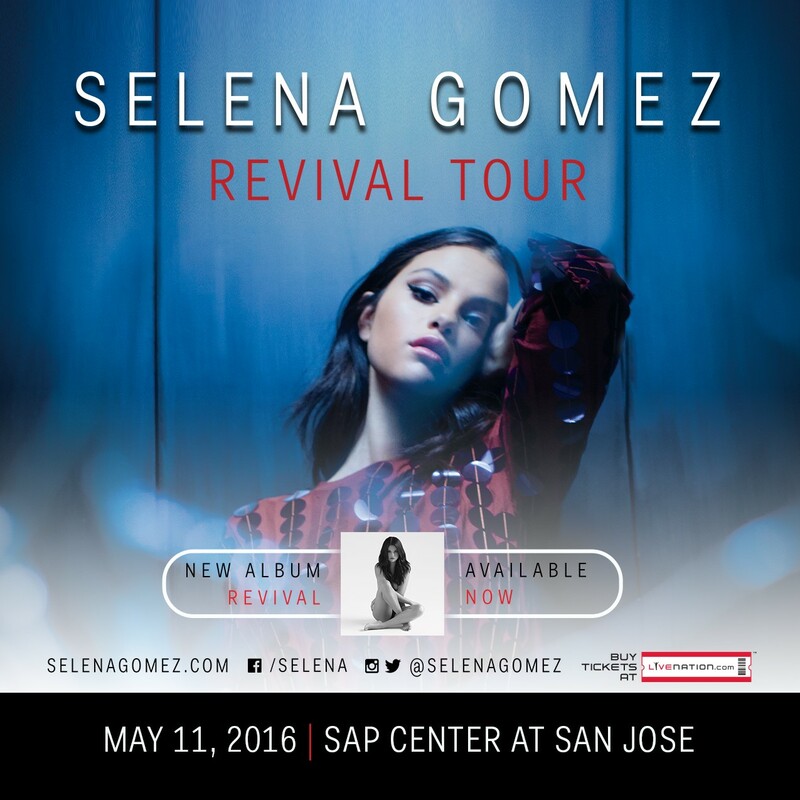 The above is the poster promoting the tour at SAP Center at San Jose on 11th May. The font setting the text in the poster is Fakt Condensed Normal. Designed by Thomas Thiemich from Germany, Fakt is a sans serif typeface influenced by the earliest grotesque and geometric sans serifs like Neue Haas Grotesk, Helvetica and Futura. The font family consists of ten weights of roman and italic designs, built around three widths. The family features an extended range of thin weights, including the ethereal and never-before-seen ‘Air’. The Fakt font identified above is not available for free, please follow the link above and purchase the font. Meanwhile, you can take a look at our collection of fonts for cars, pop music and apparel as well as round-ups of new & fresh fonts around the web. In addition to Revival Tour, It seems we can’t find other examples (logos, movie posters, album covers etc.) of Fakt typeface in use.